First Draft of History? Or Maybe the Second? Manned out two small batteaux with 35 men and at 6 the next morning arrived there and surprised a sergeant and his party of 12 men and took the King’s sloop of about 70 tons and 2 brass six-pounders and 7 men without any loss on either side. The captain was hourly expected from Montreal with a large detachment of men, some guns and carriages for the sloop, as was a captain and 40 men from Chambly at 12 miles distance from St. Johns, so that providence seems to have smiled on us in arriving so fortunate an hour. For had we been 6 hours later in all probability we should have miscarried in our design. 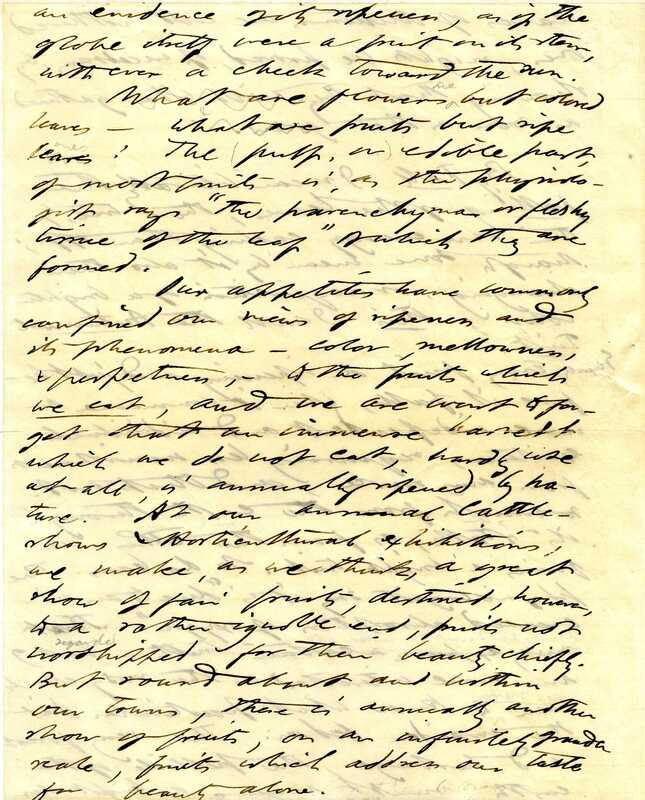 I wrote you, gentlemen, in my former letters, that I should be extremely glad to be superseded in my command here, as I find it next to impossible to repair the old fort at Ticonderoga, and am not qualified to direct in building a new one. 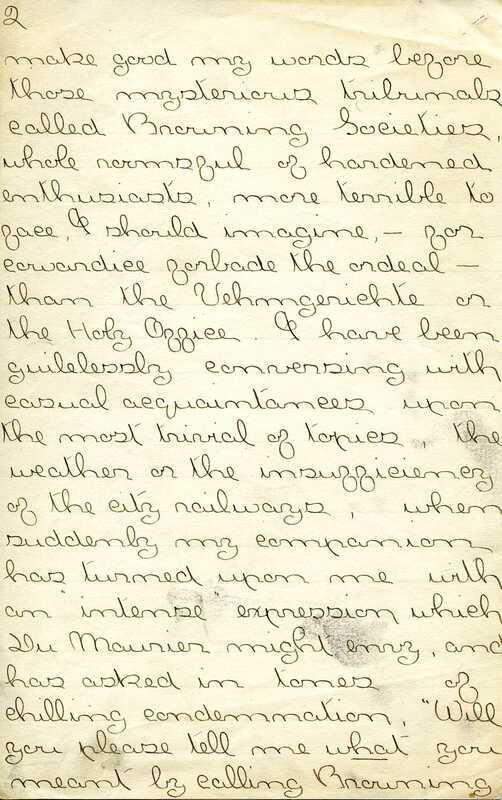 I am really of opinion it will be necessary to employ one thousand or fifteen hundred men here this summer, in which I have the pleasure of being joined in sentiment by Mr. Romans, who is esteemed an able engineer…. … I beg leave to observe I have had intimations given me, that some persons had determined to apply to you and the Provincial Congress, to injure me in your esteem, by misrepresenting matters of fact. I know of no other motive they can have, only my refusing them commissions, for the very simple reason that I did not think them qualified. However, gentlemen, I have the satisfaction of imagining I am employed by gentlemen of so much candour, that my conduct will not be condemned until I have the opportunity of being heard. It’s illuminating to note that these lines — which move beyond the immediate reporting of forts taken and cannons captured — were ones that Arnold seemed to hesitate to send. For particulars [I] must refer you to Capt. Oswald, who has been very active and serviceable and is a prudent, good officer. 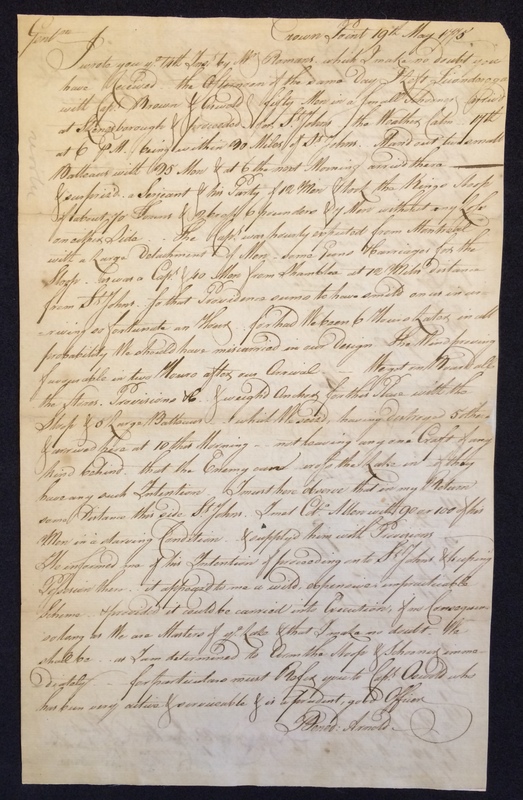 Scholars of the American Revolution (who are hopefully more knowledgeable of the conventions of military correspondence of the time) are encouraged to comment on whether Arnold was more likely to be sending two copies of a letter like this with different couriers, to ensure that it arrived safely, or sending a similar letter to two different sets of recipients. In either case, it’s a reminder that even what seems like a clear piece of historical evidence might be only part of the story. I wrote you the 14th instant by Mr. Romans, which I make no doubt you have received. The afternoon of the same day I left Ticonderoga with Capt. Brown and Arnold and fifty men in a small schooner. Arrived at Skenesborough and proceeded for St. Johns. The weather calm. 17th at 6 PM being within 30 miles of St. Johns. Manned out two small batteaux with 35 men and at 6 the next morning arrived there and surprised a sergeant and his party of 12 men and took the King’s sloop of about 70 tons and 2 brass six-pounders and 7 men without any loss on either side. The captain was hourly expected from Montreal with a large detachment of men, some guns and carriages for the sloop, as was a captain and 40 men from Chambly at 12 miles distance from St. Johns, so that providence seems to have smiled on us in arriving so fortunate an hour. For had we been 6 hours later in all probability we should have miscarried in our design. The wind proving favourable in two hours after our arrival we got on most all the stores, provisions and weighed anchor for this place with the sloop and 5 large batteaux, which we seized, having destroyed 5 others, and arrived here at 10 this morning, not leaving any one craft of any kind behind that the enemy can cross the lake in if they have any such intentions. I must here observe that in my return some distance this side [of] St. John I met Col. Allen with 90 or 100 of his men in a starving condition. I supplied him with provisions. He informed me of his intentions of proceeding on to St. Johns and keeping possession there. It appeared to me a wild, expensive, impracticable scheme and provided it could be carried into execution of no consequence so long as we are masters of the lake, [and] of that I make no doubt we should be as I am determined to arm the sloop and schooner immediately. For particulars [I] must refer you to Capt. Oswald, who has been very active and serviceable and is a prudent, good officer. * It’s also possible, of course, that one or the other letters wasn’t actually composed by Arnold at all, or at least not on May 15th, 1775. 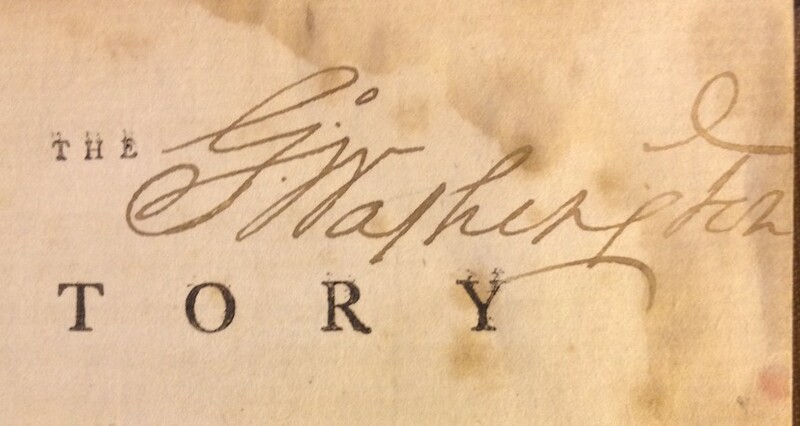 Arnold seems to have signed his name in a number of ways, as evidenced by comparing this signature with this one, both dating from 1775. The latter version uses a two-story form of the “A” in “Arnold,” and seems similar in other ways. I haven’t seen a copy of the other letter, which may be part of the Library of Congress’s Peter Force Library, donated by the author of compilation in which that copy appears. if there’s one thing more frustrating than interesting manuscripts hiding away with no way for researchers to find them, it’s when those manuscripts are also being stored in acidic folders and boxes, slowly self-destructing. That was the case with the Arnold Autograph Collection until Stephanie Knott, a library student at the University of Rhode Island, arrived at the beginning of this semester and set to work on the collection. The Arnold Autograph Collection is a miscellaneous group of about 150 manuscript items (not to be confused with this nasty kind of autograph collection). They focus mostly on Rhode Island history, going back all the way to the 1600s and including items relating to the American Revolution, a bill of sale for a slave, and the deed to a pew. In addition to moving items to new acid-free folders and boxes and creating an online collection guide, Stephanie has scanned the entire collection, and created an online exhibition focusing on a dozen items. The collection as a whole should be online in 2014. We’re coming up on the one-year anniversary of an exciting discovery at Brown University of a rare Paul Revere engraving. (Here’s the NY Times article discussing the discovery.) This Wednesday at the Providence Athenaeum, you can hear all about the print and its discovery from the people who found it. 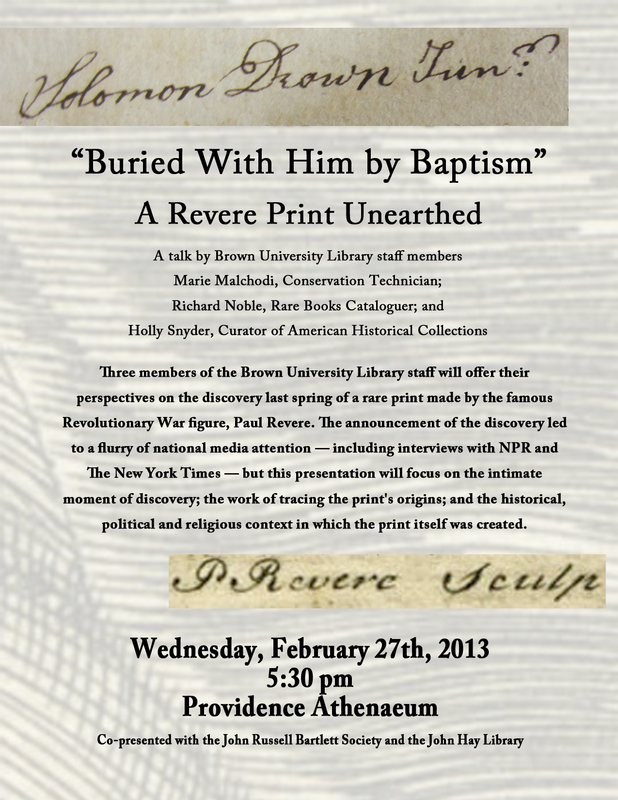 Marie Malchody, Holly Snyder and Richard Noble will offer a lecture titled “‘Buried with Him by Baptism’: A Revere Print Unearthed” at 5:30 PM, and a copy of the engraving will be on display as well. More information is available here. This lecture is part of the John Russell Bartlett Society’s 2013 events series. Other JRBS events are listed online at the JRBS website. The Happiness I experienced while I was in yours & since I have been of General Montgomery’s family is lessened, when I reflect that I am but half a soldier, as being at Headquarters exempts me from many Fatigues which others undergo — This, a natural desire of Rising, which is I believe common to every one lead me to request the favor of your recommendation for such a Commission as you think I deserve. If this takes Place, I should not desire on that account to quit the present service till the Reduction of Quebec (an event I imagine at no great Distance) till when I think the service of all here indispensibly necessary — After that many of us may be spared. Macpherson was granted his request, but he wasn’t spared. He died in battle only a few weeks after the letter was penned, together with Gen. Richard Montgomery during the assault on Quebec. The processing of the Daniel Berkeley Updike Autograph Collection has been completed. Although there is evidence that the collection was initially comprised of New England names, the collection has now grown to reflect a more diverse grouping. A selection of the material, much of which had been culled from the correspondence and papers of Wilkins Updike, includes the names of men involved in politics. Eleven presidential signatures are included in the collection. 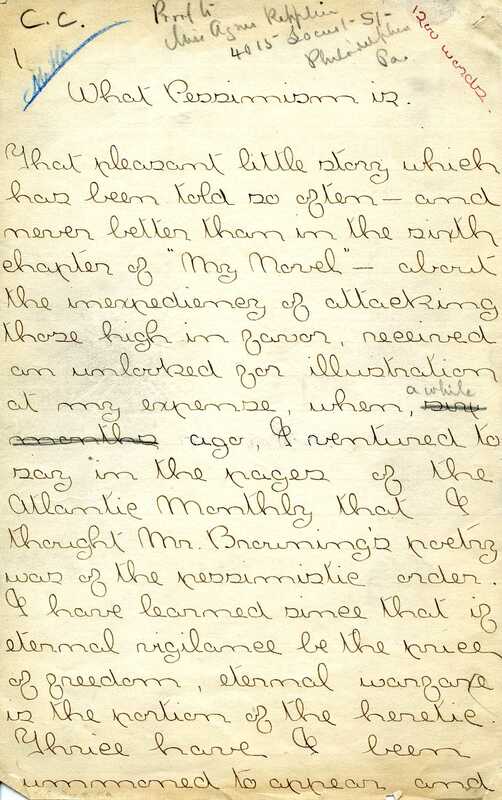 Also included within the miscellany is a letter from Edgar Rice Burroughs, a poetic excerpt from Sarah Helen Whitman, and a series of fervid letters from a Union soldier to his parents. 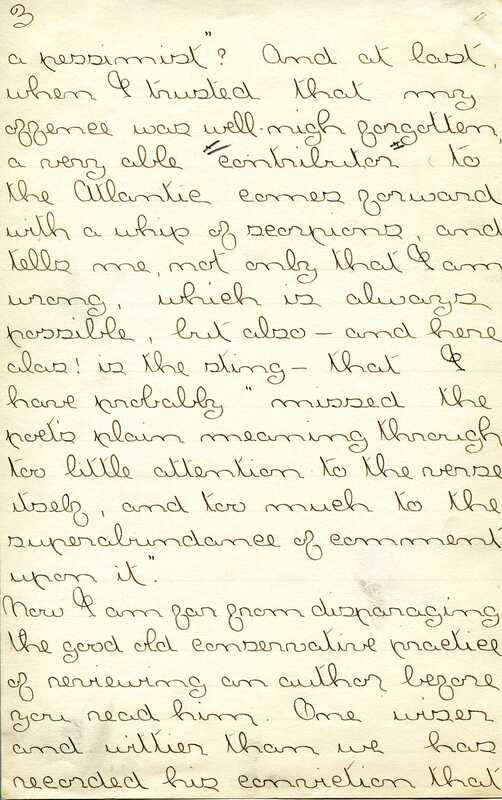 During the processing of the Daniel Berkeley Updike Autograph Collection I encountered a 12 page manuscript by Agnes Repplier (1855-1950), titled “What Pessimism Is.” Repplier was a Philadelphia born essayist, biographer and occasional poet published regularly within the pages of The Atlantic Monthly. Her numerous essays were also published in Life, Harper’s, Monthly Magazine, The New Republic, McClure’s, and The Yale Review. “What Pessimism Is” expands upon and clarifies Repplier’s criticism of the poetry of Robert Browning. In an earlier analysis, also published in The Atlantic Monthly, Repplier had classified Browning’s poetry as “of the pessimistic order.” A controversy ensued. 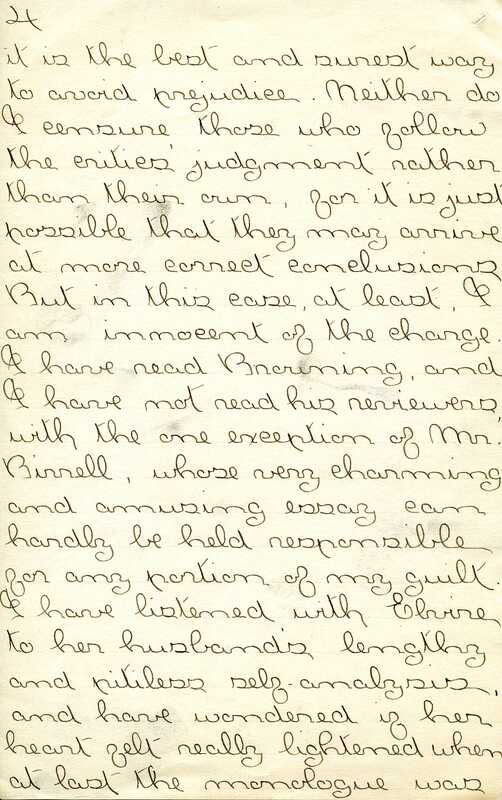 Browning enthusiasts found fault with the criticism and surmised that Repplier had failed to grasp Browning’s meaning. “What Pessimism Is,” offers her defense of the initial appraisal using examples of the poet’s works. The essay was published in The Atlantic Monthly Vol. LXII, 1888. Below the reader will find the first four pages of the manuscript. The pages illuminate the background to the article’s origin. Her wit and erudition, for which she had been known, are evinced in these first few pages. Also included in the Updike Autograph Collection is a leaf from Henry David Thoreau’s essay “October, or Autumnal Tints.” Originally published in the October 1862 Atlantic Monthly, the essay offers Thoreau’s extended meditation on the changing color of New England autumnal foliage. Among the tints that Thoreau focuses upon, the reader will find poetic descriptions of Sarsaparilla, Pokeweed, Red Maple, the Elm, Scarlet Oak, and more. The brief explication on each tint is presented in the order in which the brightest colors are displayed. The manuscript focuses on ripeness, as it is evinced in the brighter hue flowers assume prior to falling. The extract includes passages that were later revised prior to publication. The leaf is float mounted on an 8 3/4 x 10 1/4 sheet of paper. Click the images for a better view. 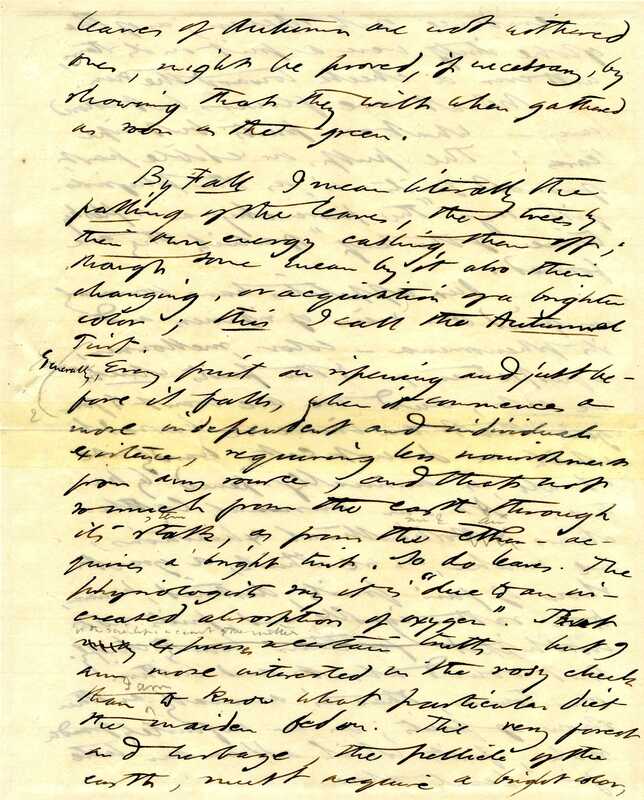 The bonus item is a letter from Greene to none other than George Washington. In the letter, addressed on the verso to Washington at his Cambridge headquarters, Greene reports “thirty or forty Boats” of the enemy “drawn into the Mill Pond opposite to the point” and signs as the Brigadier-General of the Day. 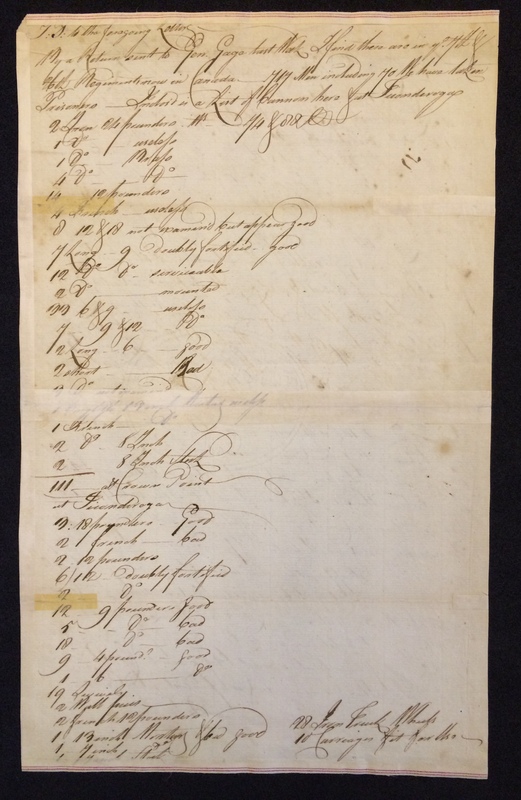 Although undated, a penciled note indicates an estimated date of 1775 for the letter, and more research could likely place the letter in better context. This is just one of a number of Nathanael Greene items in our Updike Autograph Collection, an amazing group of materials that has recently been processed by one of our skilled volunteers, Ramon Cartwright, and will soon be receiving some preservation attention. More on that in a future post. How big can a small mark be? No two books are identical. It may seem like an unusual thing to say — wasn’t the point of the printing press to make identical copies? — but whether through the realities of production or byproducts of use, every book ends up at least slightly different than it’s siblings. 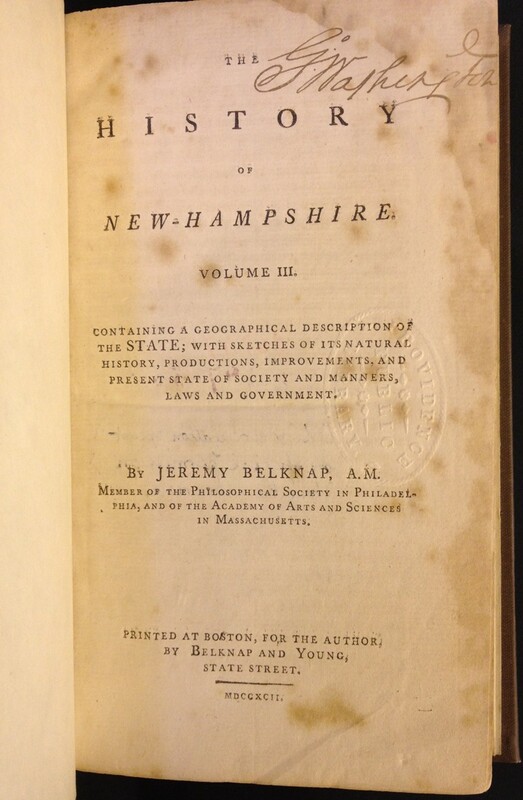 A book like this copy of Jeremy Belknap’s The History of New Hampshire (published in three volumes between 1784 and 1792) can be found in libraries around the world, for instance. 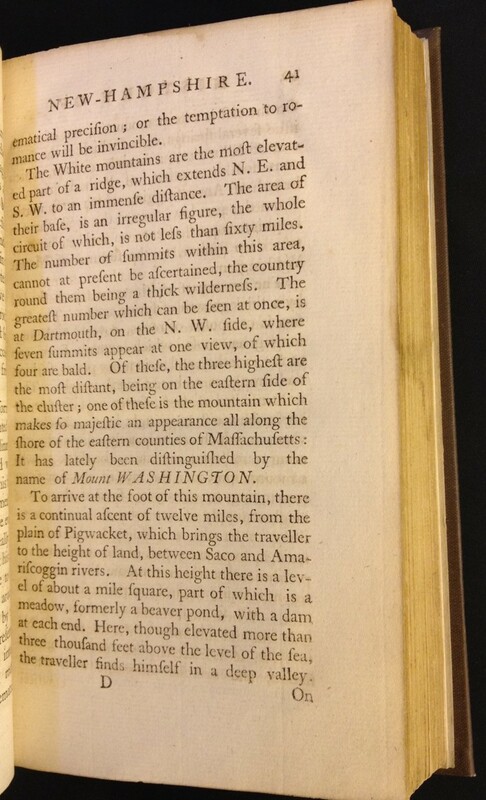 So this copy of a then recently-published history of state of Vermont was likely on the shelf of then-President George Washington. 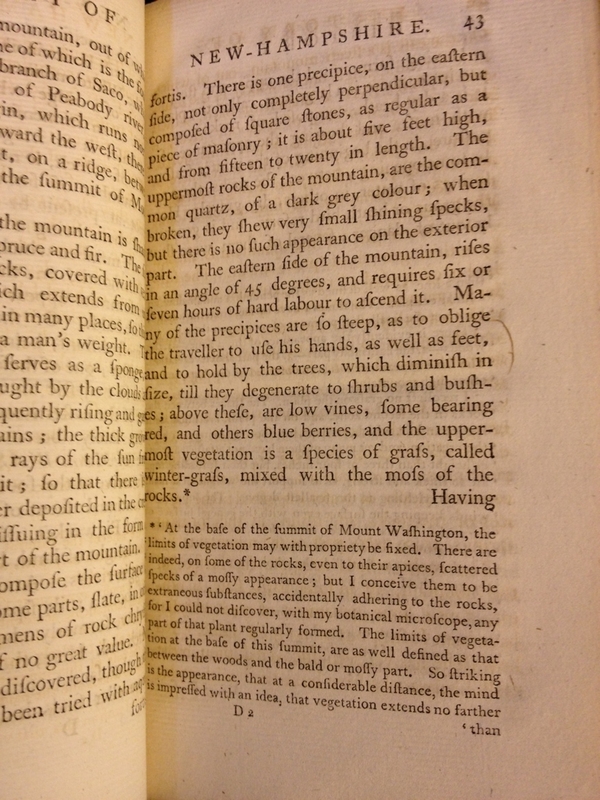 That makes this copy already quite different from other copies out there in the world, but what we’d really love to have would be Washington’s marginal notes, commenting on a state in the new country whose independence he played such a large role in winning. Unfortunately, the pages are bare, as if this was one of those books purchased or received as a gift and then placed on a bookshelf and never opened. We can only imagine the President, taking a break from the business of governing a brand new nation, perhaps, or making a conscious effort to study its history and geography. Did he read the book in its entirety or skip right to the passages describing impressive natural features only recently named for him? 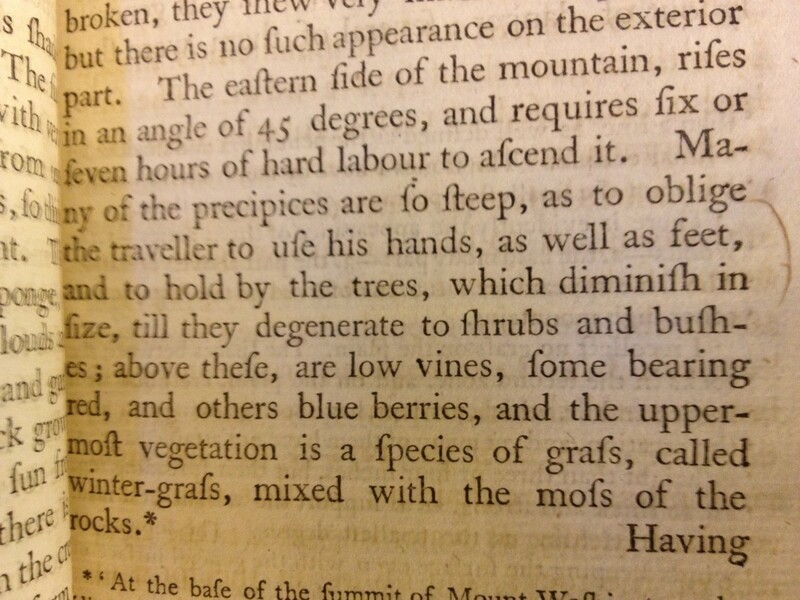 What was it about this particular description of scrub brush and difficult, steep ascents that captured his attention? Was he remembering a visit of his own? Whatever the answer, books like this provide a reminder of the eloquence of even the smallest marks and the endless variety of the books in which they’re found. Perhaps best of all, there may well be other such marks awaiting discovery by the next visitor who wants to take a closer look.